Adria's being an only child (and staying that way, I might add) feeds into her creativity a LOT. She makes things and designs dresses and weaves pot holders. Lots and lots of pot holders. One of the more famous lines in our house is "Mommy!! LOOK!" It can be any variation of this...look what I found, look what I made, look what I brought home from Memaw and Pop Pop's, I found what I've been looking for for SO LONG...any of these can and will be uttered at any given moment. The best part is that it is usually yelled from a different room and I have NO idea what is getting ready to come around the corner...like, ever. Usually "Mommy! LOOK!" is followed by my husband and I grumbling under our breath..."Oh, God...what?" So I'd like to share with you today so that you too can LOOK! This one is a personal favorite. 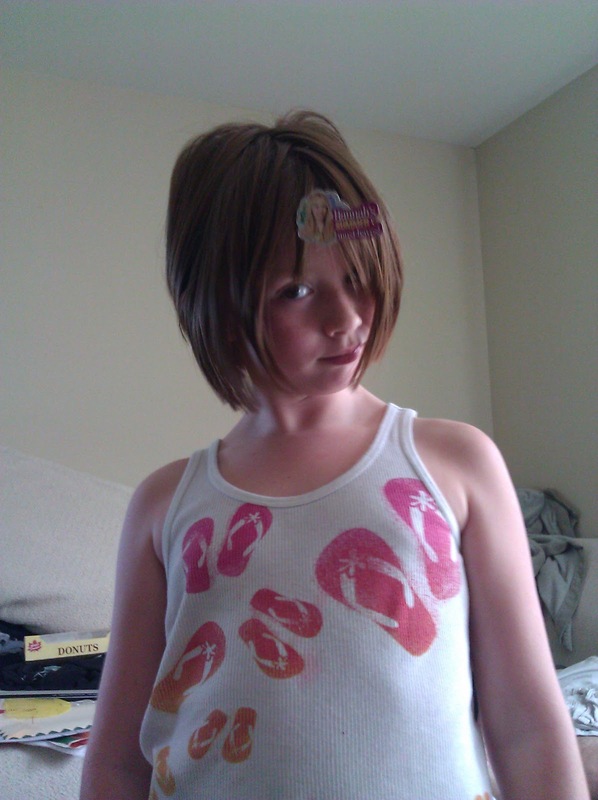 She got a new Hannah Montana doll and a part of the box decoration was sticky. So logically, it got stuck to her forehead. I mean really people, where else would it go?! This particular "Mommy, LOOK" freaked me out just a tad. 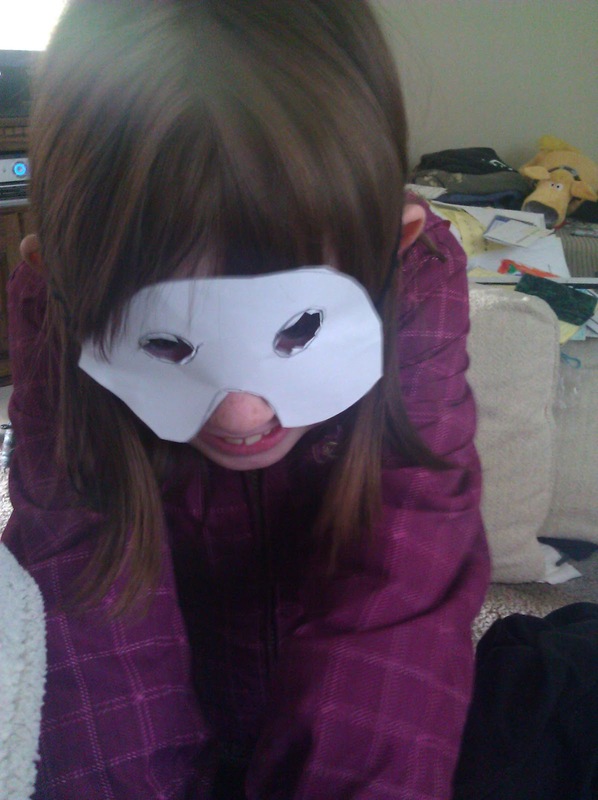 There is just something about a little kid in a homemade paper mask that just really gives me the heebie jeebies. 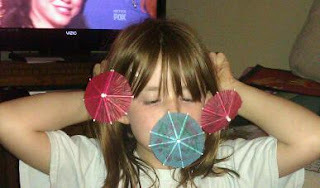 Of course, now that she knows that she puts it on all the time and says..."Does this freak you out?" followed by maniacal laughter. I'm still trying to figure out where all of the drink umbrellas came from. We don't really drink and when we do it certainly does not involve DIY drink umbrellas. I've learned not to ask. This one, oh this one. Adria is sporting the pig head part of her very first Halloween costume. She was 11 months old. Now she wants to use this for the upcoming Halloween and go as a pig, pirate, zombie, alien princess. I have absolutely no problem with that. "Um, tell me you didn't have broccoli without me"
Oh yes, Kristi...you are definitely in for it ! Tell Adria I want some potholders! 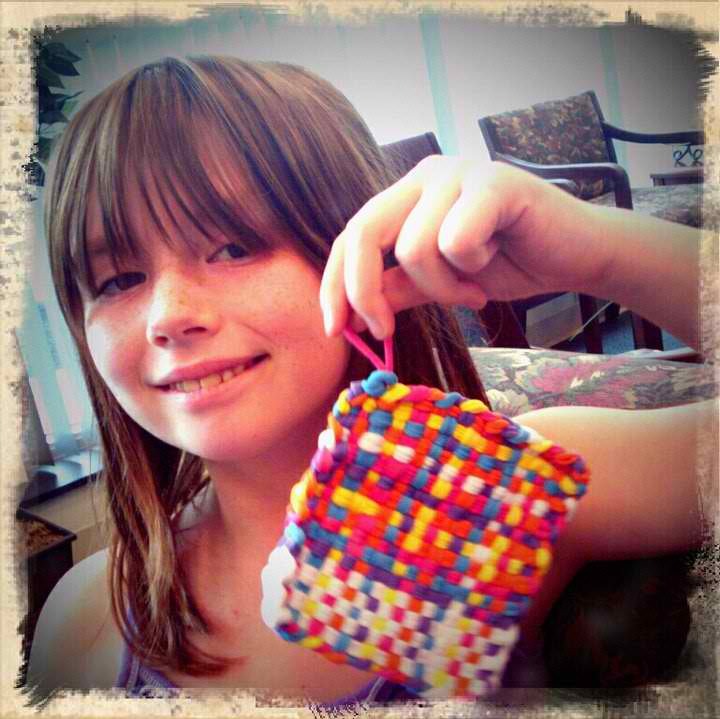 :-) She's such an awesome, creative little person!